At a packed hearing Tuesday, a California legislative committee killed a measure aimed at overturning a controversial policy that allows licensed cannabis companies to deliver product anywhere in the state. The upshot is that the status quo will continue for marijuana delivery operators – at least for the foreseeable future – and that they’ll be able to continue expanding their footprint all over the Golden State. The same legislative committee also on Tuesday advanced a separate cannabis bill that would crack down on advertisers such as Weedmaps that post online ads for unlicensed marijuana retailers. 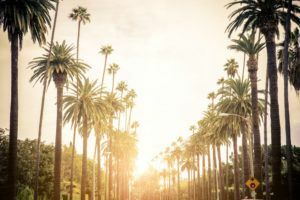 The delivery policy, adopted by the California Bureau of Cannabis Control (BCC) last summer, drew immediate condemnation from cities and counties that want to retain as much power as possible over the marijuana industry. The defeated legislation – Assembly Bill 1530 – could still be resurrected by its sponsor, Assembly Member Ken Cooley, who has the ability to bring it back for reconsideration. But a staff member for Cooley said Tuesday afternoon that no decision had been made, and Cooley could not immediately be reached for comment. Cooley and other supporters framed the legislation as a matter of local control for cities and counties, not an anti-cannabis measure. “This is about restoring the ability of local jurisdictions to regulate as they see fit,” said Charles Harvey, a lobbyist for the California League of Cities. Cooley also contended that his bill was actually a “path” that could be used to persuade more cities and counties to embrace the marijuana industry instead of banning it. The committee didn’t see it that way, however, and cannabis industry watchers celebrated the bill’s death. “This is a great day for patients, consumers and legitimate cannabis businesses,” Elizabeth Ashford, a spokeswoman for cannabis delivery tech platform Eaze Solutions, said after the vote. Longtime industry attorney Khurshid Khoja said the committee vote “shows that legislators are listening to California voters, who passed Prop 64 (in 2016) to guarantee adults and patients a safe and regulated alternative to the continued operation of illicit markets.” Proposition 64 legalized adult-use cannabis. However, the statewide delivery policy remains under siege from the League of California Cities, which spearheaded a lawsuit filed last week on behalf of 24 municipalities and one county that contend the policy usurps their right to regulate cannabis within their own jurisdictions. Khoja said that additional cities or counties may want to get involved, either as plaintiffs seeking to bolster the lawsuit or to help defend the policy. There’s also a possibility the judge overseeing the suit could issue an injunction halting the policy until the case is settled, which would prevent delivery operators from legally servicing customers in areas with commercial MJ bans in place. But in the interim – unless Cooley brings back AB 1530 and it is signed into law – marijuana companies will be able to continue performing deliveries anywhere they wish. Meanwhile, the same legislative committee advanced a bill that could have major ramifications for Weedmaps and other online cannabis advertisers that post ads for unlicensed retailers. The measure, AB 1417, was approved easily and now heads to the Assembly Judiciary Committee for further consideration. If passed into law, the bill would require any ad for a marijuana company to also include that company’s state license number. The measure also provides for a $2,500-per-day fine for each violation. The bill would also allow for class action lawsuits to be brought against violators, the most identifiable of which is industry giant Weedmaps, which was targeted by name during and after the committee hearing. The site has been posting advertising on behalf of unlicensed marijuana retailers and delivery services for years, even defying a cease-and-desist letter it received form the BCC in 2018. “The solution to combating the illicit cannabis market in California is to license more retail and delivery. Many license-holding retailers blame Weedmaps and other such online advertisers for the still-thriving underground marijuana market in California and contend such sites must be dealt with if the fully legal market is to succeed. “Weedmaps is one of the larger problems when it comes to the illicit industry, and now that that’s more well-known, it makes this a lot easier as we communicate about how we hold them accountable, not if we hold them accountable,” said Jerred Kiloh, owner of the Higher Path in Los Angeles and the president of the United Cannabis Business Association, which sponsored the bill. The only other opposition to the bill was from the California News Publishers Association and a representative of several small radio stations, which both expressed concerns that small news outlets could be held liable for running illegal marijuana advertising despite being ignorant of AB 1417’s provisions. Kiloh said he believes the bill’s chances of becoming law are solid, despite a two-thirds majority threshold it’ll need to get in both chambers before being sent to Gov. Gavin Newsom. “Everyone we talk to sees that we need to do something … because we’re not going to call the federal government in,” Kiloh said. I have a feeling Gavin Newsom will kill the bill. He never mentions Weedmaps. Only when he has his handout. Municipalities should get no say in legalisation. They should not even get to regulate smoking. All this is best done at the provincial and federal levels in Canada. We do not want a patchwork of regulation in Canada.